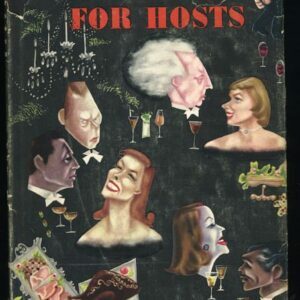 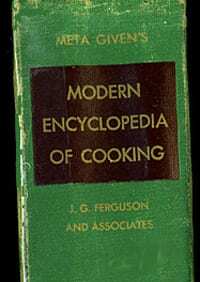 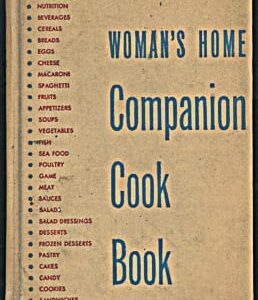 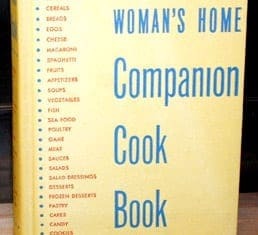 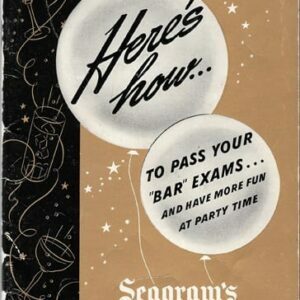 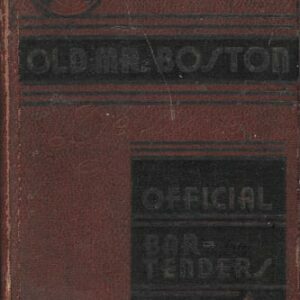 Vintage General or Comprehensive Cookbooks: Vintage Cookbook’s rare, antique, antiquarian, vintage and just out-of-print general or comprehensive cookbooks. 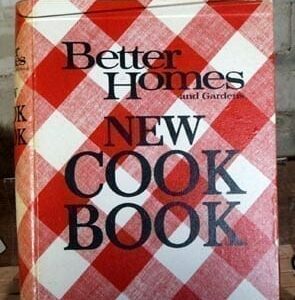 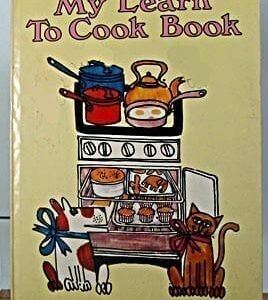 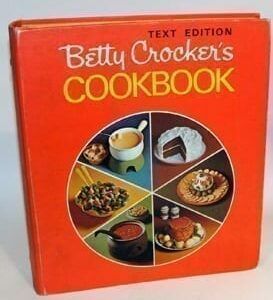 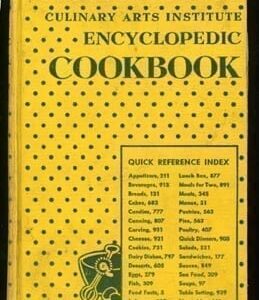 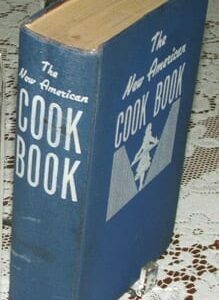 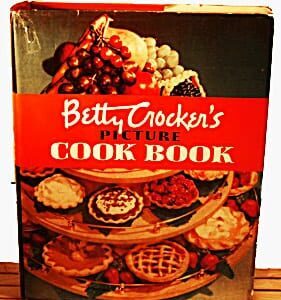 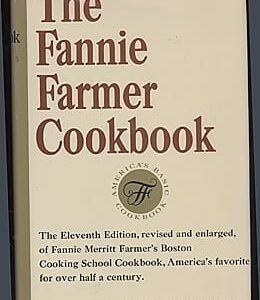 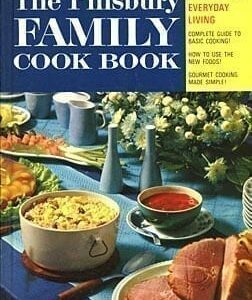 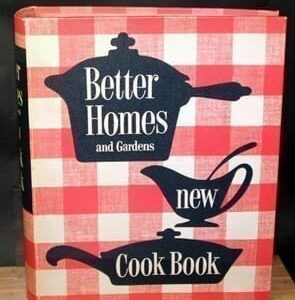 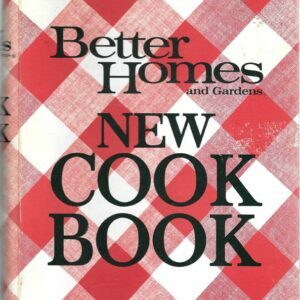 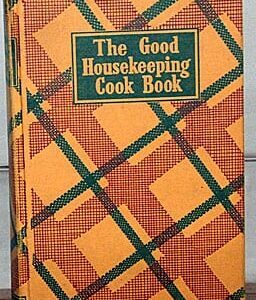 Historic vintage cookbooks from 1900s, 1910s, 1920s, 1930s, 1940s, 1950s, 1960s, 1970s, 1980s, and 1990s, including Betty Crocker’s Picture Cook Book, First Edition, First Printing, 1950; Betty Crocker’s Picture Cook Book Binder, 1950, with Dust Jacket; several versions of Betty Crocker’s Cookbook, 1978; New Doubleday Cookbook, 1985; Betty Crocker’s Picture Cook Book Replica Notebook; Betty Crocker’s Picture Cook Book Replica; Good Housekeeping Illustrated Cookbook Revised, 1989; Better Homes and Gardens New Cook Book, 1953, Near Mint; Better Homes Gardens New Cook Book, 1981; Better Homes and Gardens New Cook Book, 1953, Near Mint; Better Homes Gardens New Cook Book, 1981; Settlement Cook Book, 1934 Edition, in Nearly Mint Condition with Dust Jacket; Betty Crocker Recipe Card Library, 1971; Betty Crocker’s Good and Easy Cookbook, 1996; Betty Crocker’s New Picture Cook Book, 1961; Woman’s Home Companion Cook Book, 1955; Better Homes Gardens New Cook Book, 1981; Better Homes Gardens New Cook Book, 1989; Better Homes Gardens New Cook Book, 1981; Betty Crocker’s Good and Easy Cookbook, 1996, First Edition; Better Homes and Gardens Cook Book, 1944; Better Homes and Gardens Cook Book De Lux, 1949; Joy of Cooking, 1964; Better Homes and Gardens New Cook Book, 1989; Good Housekeeping Illustrated Cookbook, 1989; Good Housekeeping Illustrated Cookbook, 1980; Farm Journal’s Country Cookbook, 1972; Simply Delicious: Herberger’s Employee Family Recipes, 1993; Fannie Farmer Cookbook, 1979; Betty Crocker’s Cookbook; Betty Crocker’s New Picture Cook Book, 1961; Woman’s Home Companion Cook Book, 1955; Better Homes Gardens New Cook Book, 1981; Better Homes Gardens New Cook Book, 1989; Better Homes Gardens New Cook Book, 1981; Betty Crocker’s Good and Easy Cookbook, 1996, First Edition; Better Homes and Gardens Cook Book, 1944; Better Homes and Gardens Cook Book De Lux, 1949; Joy of Cooking, 1964; Better Homes and Gardens New Cook Book, 1989; Good Housekeeping Illustrated Cookbook, 1989; Good Housekeeping Illustrated Cookbook, 1980; Farm Journal’s Country Cookbook, 1972; Fannie Farmer Cookbook, 1979; Betty Crocker’s Cookbook 1969, 1978; Wise Encyclopedia of Cookery, 1949; Amy Vanderbilt’s Complete Cookbook, 1961; Woman’s Home Companion Cook Book, 1946; Pillsbury Family Cook Book, 1968, first printing; Better Homes and Gardens Golden Treasury of Cooking, 1973; Betty Crocker Baking for Today, 2005; Encyclopedia of Creative Cooking, Charlotte Turgeon, 1989, 1985; Culinary Arts Institute Encyclopedic Cookbook, 1974, as-if-new; Joy of Cooking, 1962; Betty Crocker’s Cookbook, 1969, 1974, mint; cook’s copies of Betty Crocker’s Cookbook, both binder and hard cover; Meta Given’s Modern Encyclopedia of Cooking, Revised; Good Housekeeping Cook Book 1942, 1944 with Dust Jacket; Modern Family Cook Book, 1953; Betty Crocker’s Picture Cook Book, First Edition, First Printing; Good Housekeeping Menus for a Whole Year of Dinners, 1971; Better Homes Gardens New Cook Book, 1982; Good Housekeeping’s Book of Menus, Recipes, and Household Discoveries, 1922; Fannie Farmer Cookbook, 1983; Betty Crocker’s Cookbook, 1978; Encyclopedia of Cooking, Mary Margaret McBride, 1958; New McCall’s Cook Book, 1973; New Revised Updated McCall’s Cookbook, 1984; Edith Key Haines’ Cook Book, 1937; Ladies’ Home Journal Dessert Cookbook, 1964; Betty Crocker’s Cookbook 1978; Good Housekeeping Cookbook, 1973; Better Homes Gardens New Cook Book 1996, Binder Edition; United States Regional Cookbook, 1947; Woman’s Home Companion Cook Book, 1946; New Basic Cook Book, 1961; Better Homes and Gardens Cook Book, 1941, 1946; Antoinette Pope School Cookbook, 1948; My Betty Crocker Notebook, 1955; Betty Crocker’s Picture Cook Book, Hardback, 1950; Better Homes Gardens New Cook Book, 1989, Binder, Absolutely New Cookbook; Betty Crocker’s Cookbook 1978, Nearly Mint Condition, Hard Cover; Pillsbury Kitchen’s Family Cookbook, Binder, 1979; New McCall’s Cook Book, 1973; Better Homes Gardens New Cook Book, Binder Edition; Better Homes and Gardens Cook Book, 1941, 1946, As-If-New Condition; Better Homes Gardens New Cook Book, 1981, Binder Edition; Betty Crocker’s Cookbook, 1969, Stated First Edition, First Printing; Better Homes and Gardens New Cook Book, 1953; Betty Crocker’s Picture Cook Book Hardback, 1950; Betty Crocker’s Dinner for Two, 1958; Better Homes and Gardens Cook Book, 1949; Betty Crocker’s Cookbook, 1969, 1973; Better Homes and Gardens New Cook Book Souvenir Edition; Better Homes and Gardens Cook Book De Lux 1949; Better Homes and Gardens New Cook Book, 1968; Betty Crocker’s Good and Easy Cookbook, 1971; Culinary Arts Institute Encyclopedic Cookbook, 1973, 1976; Betty Crocker’s Cookie Book, 1986; Good Housekeeping Cook Book, 1949; Woman’s Day Cookbook, 1995; Third Sexton Cook Book, First Edition, 1950; Betty Crocker’s Picture Cook Book Revised, 1954; Fannie Farmer Cookbook, 11th Edition; Good Housekeeping Cook Book 1942, 1944 with Dust Jacket; Betty Crocker’s Cookbook, 1969, 1976; Settlement Cook Book, 1931; Good Housekeeping Step by Step Cookbook, 1997; Lily Wallace New American Cook Book, 1941; New Revised Updated McCall’s Cookbook, 1984; Betty Crocker’s Step-By-Step Picture Cookbook, 1975, 1983; Better Homes and Gardens New Cook Book, 1968; Settlement Cook Book, 1915; Balanced Recipes by Pillsbury in atomic aluminum case, 1933; Woman’s Home Companion Cook Book, 1946; Woman’s Realm Cookbook, 1988; Woman’s Home Companion Cook Book, 1955; Illustrated Encyclopedia of American Cooking, 1983; Third Sexton Cook Book, First Edition, 1950; Culinary Arts Institute Encyclopedic Cookbook, 1962; Betty Crocker’s Cookbook, 1969, Stated First Edition, First Printing: the Woman’s Home Companion Cook Book, 1951; American Home All-Purpose Cook Book, 1966; Better Homes and Gardens Golden Treasury of Cooking, 1973; American Woman’s Cook Book, Wartime Edition, 1942; American Woman’s Cook Book, 1942; Pillsbury Cookbook, 1989; Pillsbury Kitchen’s Family Cookbook; Good Housekeeping Cook Book. 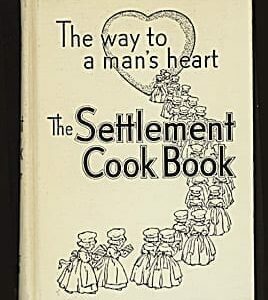 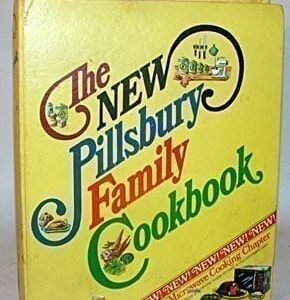 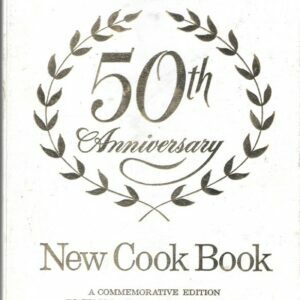 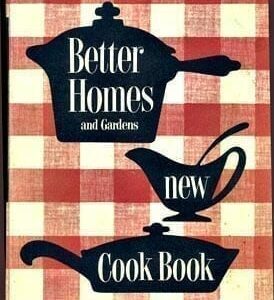 1955; Lily Wallace New American Cook Book; 1949; Better Homes and Gardens New Cook Book 50th Anniversary Edition, 1968; Settlement Cook Book, 1931; Settlement Cook Book, 1945; New Pillsbury Family Cookbook, 1973, 1975; Pillsbury’s Best 100 Recipes Bake-Off Collection; Good Housekeeping Cookbook, 1955; Better Homes and Gardens Cook Book, 1947; Better Homes and Gardens New Cook Book, 1981; Better Homes Gardens New Cook Book. 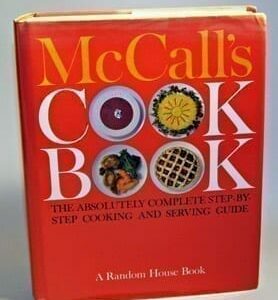 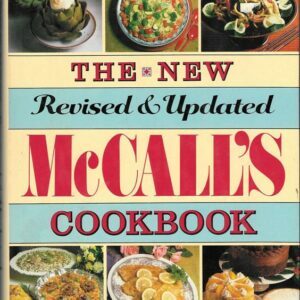 New Revised Updated McCall’s Cookbook with Dust Jacket!